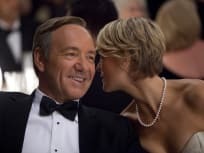 Francis wants to put an end to his feud with Tusk while Claire collides with Jackie Sharp on House of Cards. Tusk hits the Underwoods with a personal scandal on House of Cards. 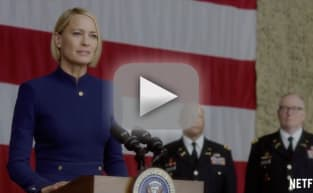 Claire uses her influence over Tricia Walker both politically and at home on House of Cards. 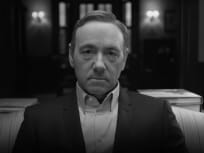 War breaks out between Francis and Tusk even as the Walkers and the Underwoods get stronger on House of Cards. Francis and Tusk's fragile alliance crumbles while dealing with an energy crisis on House of Cards. Frank gets into informal negotiations with a Chinese billionaire and a new member joins team Underwood. 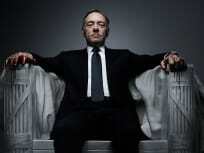 The much anticipated House of Cards returns for season 2 on February 14th. 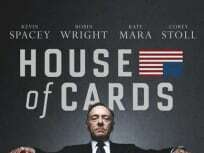 Things get worse in China and the relationship between Francis and Tusk becomes more tense on House of Cards. 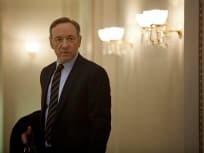 Frank is announced as the new Vice President while Lucas looks into Zoe's death on House of Cards. 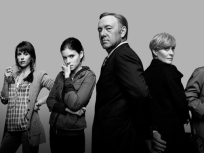 House of Cards returns for season 2 on February 14th on Netflix.